Here are a few of the flowers I was given, as part of an Anniversary bouquet. Knowing I like to arrange the flowers my self, I’m generally given a very nice mixed bunch of different flowers. I really enjoy that. 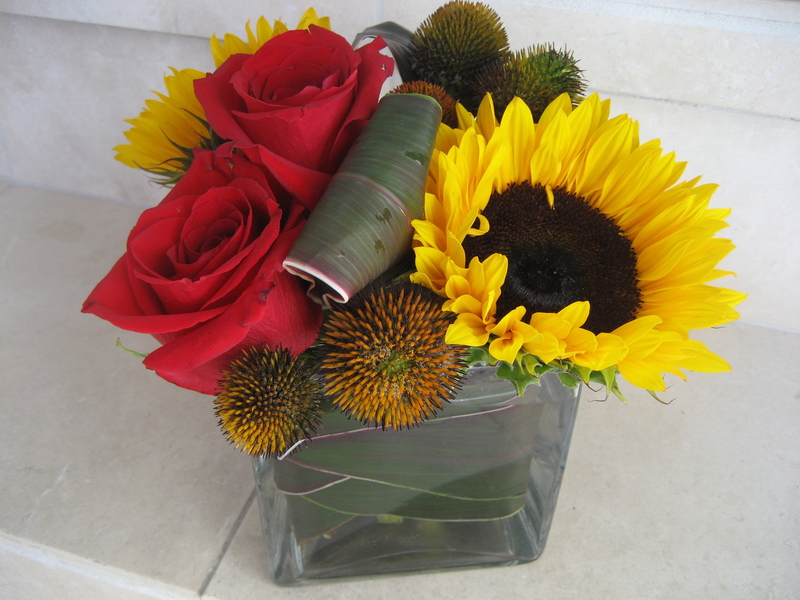 I really enjoy the romantic thought as well….I was so happy to see Echinacea pods in the mix, along with red Roses, Sunflowers, Orchids, Hydrangea and Anthirium. Can’t say he was thrilled to see some of the flowers get “chopped down”, but alas there were flowers in almost every room..